Wheeler has provided quality building materials since 1892 and has been manufacturing trusses since 1973. We provide quality products at competitive prices with on-time delivery. 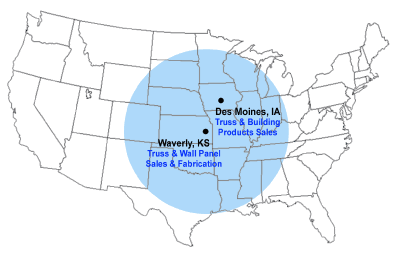 Trusses are available for delivery throughout the Central United States. Wholesale building products are available for nationwide delivery.